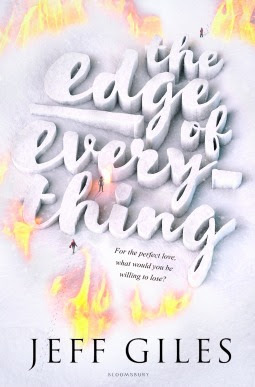 The Edge of Everything: An abbreviated and unrated review . I’m just going to be straight up honest with you all about this. 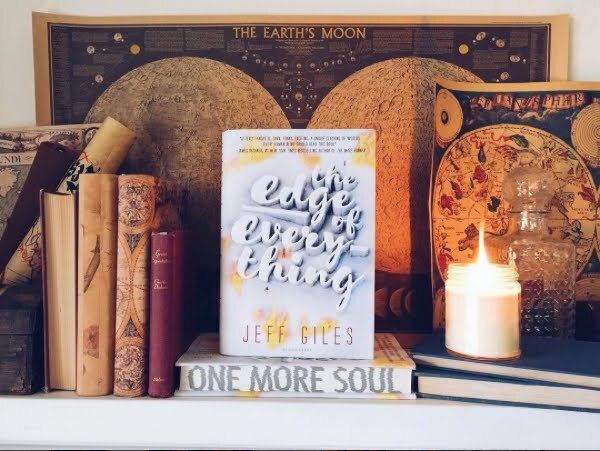 I read "The Edge of Everything” nearly two weeks ago when I was sick—and while I remember the story, I also feel like I’m in no place to actually review it. .
(this is not my usual book-themed review picture, so please don’t get the idea that this book takes place on the moon or something like that.) . So here is my briefest book overview ever. I hope you can take it with a touch of humor rather than disrespect for the book. .
Bounty Hunter from the Lowlands (read “Hell”) hunts down people who have done evil deeds and takes their souls back to the Lowlands to suffer. .
Zoe, a girl with a blurting problem and a strong teenage will, sees Bounty Hunter save her and her brother from one of the worst kinds of humans. Bounty Hunter is hot and ripped and tattooed and also has interesting abilities/powers. Zoe tries to play it cool, but heart eyes are happening. .
Zoe’s father has recently died in a caving accident and, in short, Zoe and her family are still messed up about it. This explains most of her brother’s behavior, and some of Zoe’s behavior and ended up being an interesting way to character build the family. .
Love happens. Bounty hunting happens. Questions about what makes someone bad enough to go to hell come up in Hikari’s mind. There is a twist that I saw coming, but only from across the room, not a mile away, if you get what I mean. .
Jeff Giles, I see your subtle humor and suspect you’re probably a hilarious person to hang out with in real life. I’m sorry I read your book on “severe flu” medication. . I didn’t read the synopsis when I started it, so I was pleasantly surprised when it took on a magical quality. This is a pretty romance driven story, yet still had some darker vibes to it (taking souls to hell will do that to a story) If that sounds like your jam, this might be up your alley.